An official proposal to outlaw betting on dog racing in the UK. Home The Act Cruelty Factors Gallery Videos Media Endorsement Act now! 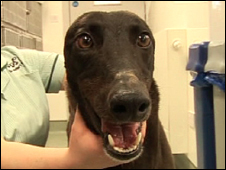 A GREYHOUND found abandoned in Sittingbourne and nursed back to health with help from a Faversham vet is looking for a new home. The young dog, nicknamed Grace, was picked up by Swale Council’s stray dog service, suffering a badly broken leg, and was taken to Borden Lane Veterinary Surgery. 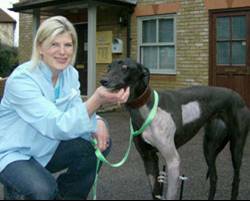 Andrew Wills, a specialist in leg-pinning surgery at Toachim House veterinary surgery in Faversham, saved Grace’s leg from amputation, charging a reduced fee, and she is now being cared for by staff at the Borden Lane Surgery. Grace is described as having a lovely temperament and needs a loving and caring home with owners who are able to be patient with her while her leg continues to heal.